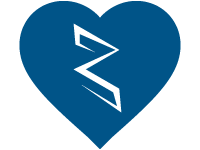 About | Zeller Electric, Inc.
We want to lead, live, and love well—every day is a chance to prove that, and prove ourselves. In 1979, brothers Jon and David Zeller founded Zeller Electric. The company has steadily grown, assembling a skilled staff of technicians who have earned us an outstanding reputation. Our technicians have an impressive depth of experience, and our ongoing education requirements help prepare them to solve any problem with the safest and most cost-effective solution. We are proud to be on the leading edge of electrical technology today, and proud to be the provider of choice for electrical contracting project managers, estimators, and wiremen across central Illinois. We practice our Christian faith in our business and in every relationship. We are driven to serve others - friends, family, community, and clients. 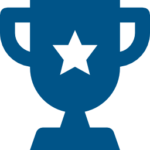 We pride ourselves on working hard, and we hold our work to high standards. Every member of our team contributes to the hard work, honesty, and understanding that define our company. Seth is proud to serve as the President and CEO of Zeller Electric. He has worked with the company for almost 20 years, and is inspired to foster its progress and its values. Seth has a Bachelor of Science degree in Business Administration, is an accredited representative for the National Electrical Contractors Association (NECA), and is an active member of the McLean County Chamber of Commerce. Seth challenges himself to “lead, live, and love well,” and makes it a priority to spend time with his wife and three children. Their church family is Christ Community Church of Gridley. Seth is also an avid reader and enjoys a range of sports and outdoor activities. 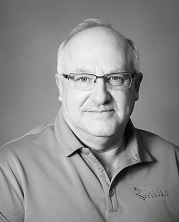 David co-founded Zeller Electric almost 40 years ago, and he continues to provide guidance within the company and among electricians nationwide. David served 15 years as a board member for the National Electrical Contractors Association (NECA) and remains a member of NECA, the National Fire Protection Association (NFPA), and the National Joint Apprenticeship and Training Committee (NJATC). He is currently chairman of the board for the area JATC. David and his wife have four grown sons and 13 grandchildren. He is an active member at his family’s church and enjoys boating and riding his motorcycle. 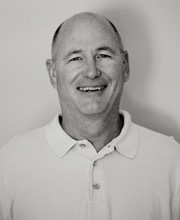 Brian has almost 30 years of experience in the electrical industry. He holds an Associate of Applied Science degree in Electronic Technologies, is a graduate of the IBEW/NECA Joint Apprenticeship Training Committee (JATC) program, and is a member of IBEW Local 34. 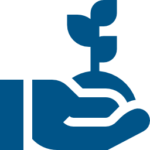 Brian specializes in energy-efficient building technology, and has a LEED Green Associate certification from the U.S. Green Building Council (USGBC). He has served as a firefighter with the Eureka-Goodfield Fire Protection District for 16 years. Brian and his wife have three grown children and are active in Goodfield Apostolic Christian church. Brian’s interests include shooting sports, motorcycles, and outdoor activities. Luke has been with Zeller Electric for almost 20 years, and currently oversees estimates, scheduling, materials, and other operations in the Bloomington area. Luke completed a five-year electrical apprenticeship through IBEW/NECA. Luke and his wife are busy with activities for their four children, and their family attends Eastview Church in Bloomington. Luke is an avid mountain biker and also enjoys camping and golfing. Joe has been part of the Zeller team for six plus years. 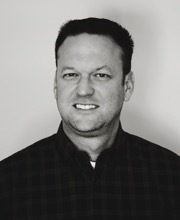 He has 15 years of experience in systems technology and handles estimates and design for our Systems Division. He works alongside teams to troubleshoot, install and certify data communication projects. Joe holds a Master of Business Administration degree from Illinois State University and is a Registered Communications Distribution Designer (RCDD). Joe is the friendly face around ZEI, gives the only office tours (for the newbies) and sometimes you will hear his voice behind the office phone. Joe enjoys spending time with his love, Kathy, and his family outside of work. He enjoys just about anything outdoorsy and riding his motorcycle. He attends Harvest Bible Church in East Peoria, IL. If you ever have the great privilege of using the ZEI microwave, more often than not, you will find Joe’s cold tea that he has long forgot about. 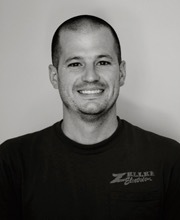 Jason joined the Zeller Electric team in 2015. 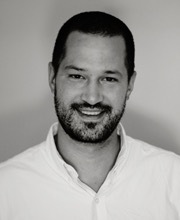 Jason has 12 years of experience in corporate purchasing. He holds a Bachelor of Science degree in both Finance and Economics. Jason is involved in all the little and big details that helps make up ZEI. He specializes in helping ZEI increase the efficiency of the business operations. Jason is a humble leader that is willing to do whatever it takes to make Zeller better. Most days you will see him typing away at his computer and making specialty coffee behind his desk. Jason and his wife have two children and attend Christ Community Church of Gridley. Jason enjoys watching his children’s sports and is a fan of Formula 1 racing. Payton has a range of knowledge and experience in billing and insurance, which helps her manage Zeller’s accounts receivable. 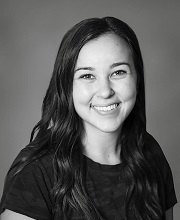 She is the face behind all of ZEI’s social media and organizes company improvement opportunities. Payton has an Associates Degree in Applied Science focusing on Sociology. Payton is local to Central Illinois and has a great love for the Local Church and this area she calls home. Payton and her husband, Dalton, live in Peoria, IL with their son, Boone. Ministry starts at home for her. Caring for her husband and her son are at the top of her priorities. If she’s not cheering on her men, you can find her preaching and teaching at Church 2:14. Payton and Dalton believe God can do anything! And their hope and prayer is that their shoulders would be the launching pad for their family, friends and everyone around them. Payton enjoys date nights, gathering with people around her table, watching her son experience new things, reading and time with sweet friends. 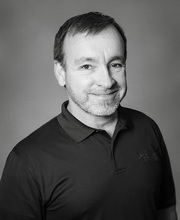 Brian has been with Zeller Electric since 2017. He has over 20 years of experience in the electrical industry. Brian credits his love for the electrical industry to his father. Brian works closely with our electricians to give our customers the most dependable and excellent service. Brian, often referred to as BT, is a stranger to no one and always has a smile on his face. In December of 2017, he was awarded the Jolly Fellow award by our office staff for his great character. He estimates projects all over Central Illinois. Most days you will find Brian tucked away in his office chatting on the phone or out on the road meeting his customers face to face. Brian and his wife, Penny, enjoy snowmobiling, boating and other outdoor activities. And sweet, Penny, has been keeping the office staff happy with her sweet treats since the week BT started. 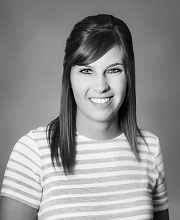 Tiffany has been with Zeller Electric since 2017. She is the voice behind Zeller Electric’s phone. She handles all small job billings and helps with facilitating and tracking materials. She has an Associates in Applied Science focusing on sign language interpreting. Tiffany loves listening to podcasts, Dunkin’ Donuts iced coffee, and spending lots of time with family and friends. She has been married to Jesse for three years and they live in the small town of Congerville. Together they enjoy weekly dates, working on their house (most days), ice-cream, and Netflix. They also love to lead prayer meeting and children’s ministry at their church. 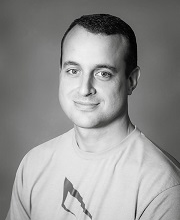 Tyler has been with ZEI since 2018. He graduated from Illinois State University with a Major in Renewable Energy and a Minor in Business Administration. 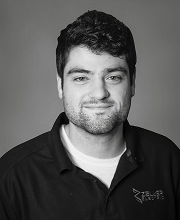 Tyler does electrical project estimating all over Central Illinois, as well as the solar energy installation leader. Tyler’s strength lies in great communication and wanting the best for his customers. He is honest and dependable. Tyler hopes to continue to grow ZEI and partner with Halo Solar in bringing more efficient energy to this region. Tyler is from Roanoke, IL. He currently serves on the EMT squad. Outside of work Tyler enjoys hunting, fishing, spending time with church young group and his family. He attends the Roanoke Apostolic Christian Church.